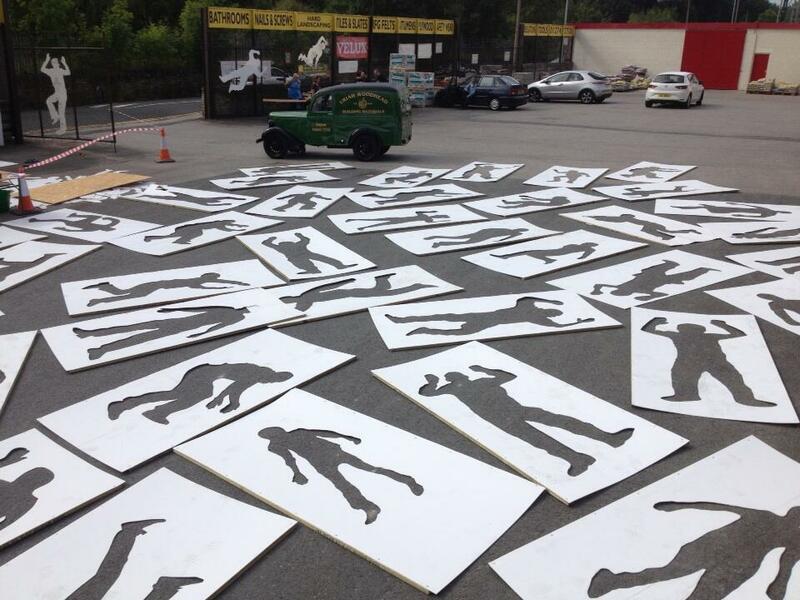 Today Andy Moss and volunteers at Uriah Woodhead made over 50 stencils fuelled by bacon butties (not Andy as he is a vegetarian) and the drive to undertake the practical element for the Fallen project. One of the volunteer was Monica Kershaw, mum of Bradford soldier Private Christopher Kershaw who was killed in Afghanistan last year. She became involved because Uriah Woodhead is doing a plaque in memory of her son. Uriah Woodhead have donated all materials for the Fallen project in support of the event for Peace Day in France on the 21st September. But we still need help and now we have organised a coach coming from Bradford. It will depart on Thursday night at 2200 and return on Sunday. We ask for a contribution of £115 for those with wage and £55 for those without, this includes camping fees and communal food. It will be a grand day out! 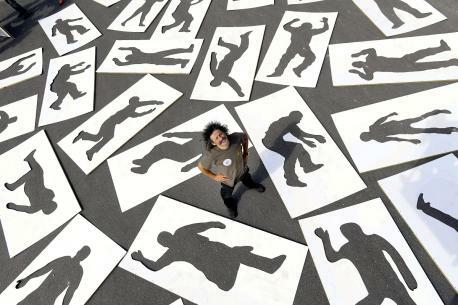 Hi Jamie and Andy, May I put the picture of Andy with the stencils onto my blog. I would like to tell my readers about your project in Filey and France and will provide a link. It was an amazing project, I am sorry that I did not know of it earlier. Hi Helen. Yes you may! Thank you. Awesome testament to the many fallen on both sides, worthy of the time taken in order to honor those who gave their lives for the insane ideas of one man who wished to create a super race!!! I’ll be in Normandy in May of this year and am looking forward to see what has been memorialized for a waste of lives!!! !